As part of an 8,000-km show of solidarity, a west coast totem pole has arrived in North Dakota, where Indigenous people are leading the fight against the Dakota Access Pipeline. “We were greeted with tears, hugs and warrior calls by the thousands of people who have been standing strong for our lands at this protection camp,” said Rueben George of the Tsleil-Waututh Nation in southwest British Columbia. 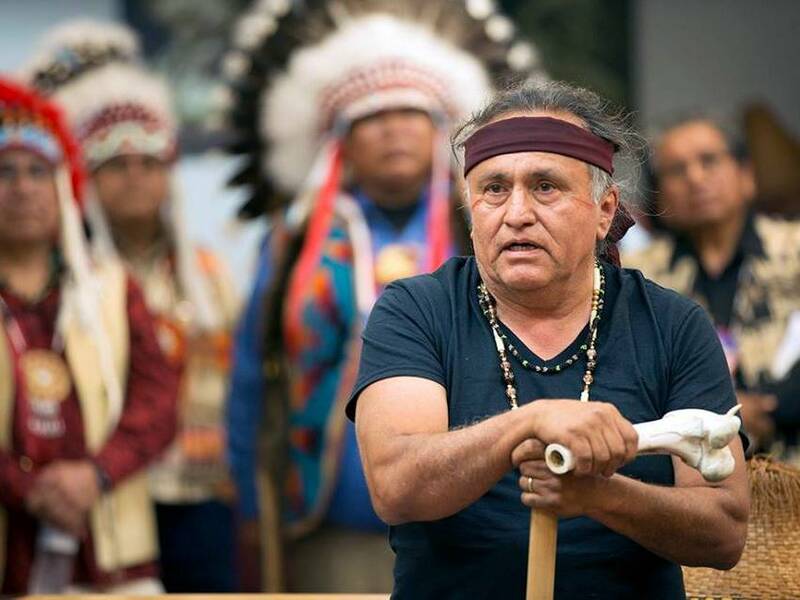 He travelled, together with dozens of Indigenous leaders from the northwest United States, to the site of the foremost environmental battle in that country today. The Tsleil-Waututh are at the forefront of opposition to Kinder Morgan’s proposed TransMountain pipeline, which the federal cabinet is expected to make a decision on before the end of this year. 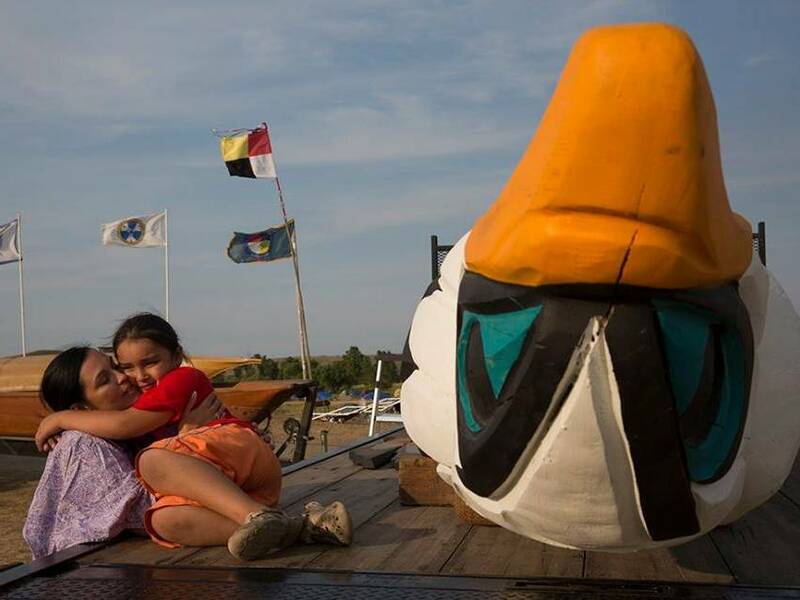 For years they have partnered with Indigenous nations south of the border to support an annual healing journey featuring the gifting of a totem pole. The House of Tears Carvers of the Lummi Nation, whose ancestral lands are located in Washington state, have created totem poles for various communities resisting the impacts of fossil fuel megaprojects on their territories. This year’s 7-metre-long totem pole is destined for Winnipeg, Manitoba, to support opposition to the proposed Energy East tar sands pipeline. On the long journey across the western half of North America, a stop in the Dakotas was a must, especially as the area has become a flashpoint in the fight against the expansion of fossil fuel exports. 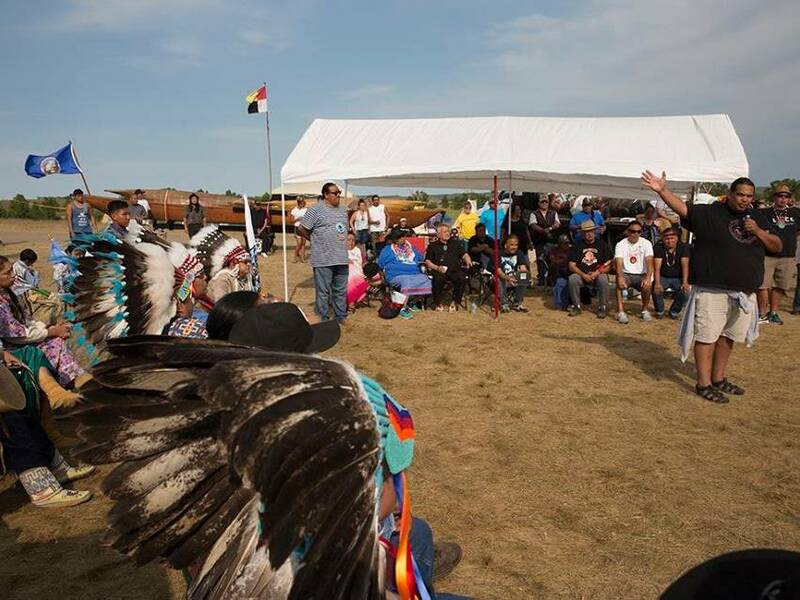 An estimated 1,500 Indigenous people from over 100 tribes across the United States have converged on North Dakota to join a spirit camp set up by the Standing Rock Sioux, who have, at least for now, halted construction of the Dakota Access Pipeline. “We had to go around the reservation to the other side in order to get in, because local police, on orders of the governor, have a blockade and they’re not letting anyone into the encampment,” said Jewell James, a master carver of the Lummi Nation, who is travelling with the 7-metre totem pole he created. 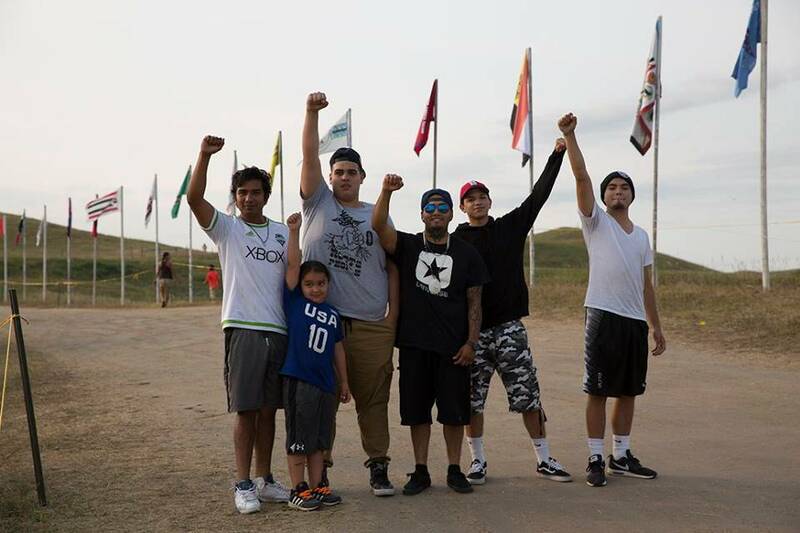 Despite the tense situation with U.S. law enforcement, James reported that the atmosphere was joyous and that support for the camp was still growing. The warm relationship between the Lummi Nation and their allies across the border in Canada was symbolized on the first day of the journey. Aug. 23 began with a ceremonial blessing in Bellingham, Washington, and then the totem pole and activists headed up the Interstate 5 to Vancouver, where a crowd had gathered in Grandview Park to help send them off on their epic voyage. “What a beautiful thing Jewell James has done. This totem pole is about bringing nations together across Canada, against Enbridge and Kinder Morgan, and against Energy East,” said George at the Grandview Park event. Meticulously carved by Jewell, the totem pole will continue to travel with the artist and accompanying activists for the next week. While the Tsleil-Waututh’s priority is stopping the proposed Trans Mountain pipeline, which would ramp up exports of tar sands bitumen through Vancouver’s harbour, they understand the need for unity in the face of myriad efforts at fossil fuel expansion. In Washington state, civil society and Indigenous peoples are working to stop projects that would increase the transport of oil from the Bakken Fields and coal from Wyoming for export through the Pacific Northwest. “We’ve been doing healing totem poles for 15 years, and four years ago we started working with the Tsleil-Waututh Nation,” explained James from the spirit camp in North Dakota. Meticulously carved by Jewell, the totem pole will continue to travel with the artist and accompanying activists for the next week, visiting South Dakota before heading north again. It will end its journey in Winnipeg, at the geographic centre of North America, as a powerful symbol of the cross-border resistance of Indigenous peoples and their allies to the fossil fuel mega-projects that continue to meet growing opposition on both sides of the 49th parallel.